Scams, viruses, and Facebook Frauds that prey on the curiosity of unsuspecting users are nothing new for the popular social network. Facebook and social networking sites alike create a perfect environment for spammers to instantly reach millions and rapidly spread their lucrative scams. Although the majority of users have learned how to Spot and Avoid Facebook Scams, there are some creative and devious scams that continue to attract the attention of many users. These scams are extremely misleading and publicize something that is either too good to be true or reel users in by taking advantage of the recent headlines. These scams are usually created to generate some kind of financial gain for spammers and to further spread their spam. Often the fraudulent posting will advertise one thing and then direct a user to a completely unrelated page. Previous Facebook scam such as the “Free iPad scam” and the “See who is viewing your profile scam” have been used as a spamming technique called ClickJacking. ClickJacking presents a page to the user with a seemingly harmless action button, unbeknownst to the user there is usually a transparent layer with an alternative button positioned directly on top. In other words, when the user thinks that they are clicking the one button they are really clicking the hidden button. The hidden button is usually something that a user would probably avoid if given prior knowledge. For example the button could initiate an unauthorized purchase, an adjustment to your social profile, a twitter follow, or the spamming of your Facebook contacts. New spam scams are created each day, this week alone we have already seen three new Facebook scams that draw in users by exploiting popular news headlines. Among the scams that appeared this week are posts proclaiming the “Death of Charlie Sheen”, the “Casey Anthony murder confession video”, and the “Google+ invite”. Each of these attractive headlines is completely bogus and only serves the purpose of luring in victims. The high demand for Google+ invites has made eager users a perfect target for spammers. For this scam a user receives a request to access their basic information. Once the user accepts that request the scam bombards them with emails, submits posts on your friends’ walls, and accesses their personal information while they are offline. In addition to these abrasive actions the scam is also thought to be accumulating email accounts for future spam attacks. The second scam is one that involves the court case of Casey Anthony, who was exonerated and found not guilty of the murder of her daughter due to lack of evidence. The hype surrounding the court case and public outrage regarding the jury’s verdict has generated a lot of attention for Casey Anthony. In this scam a user receives a message offering a chance to watch the video of Casey Anthony confessing to murder. Upon clicking, users are redirected to a site that presents them with a survey that must be completed before watching the video. Following the completion of the survey the users do not gain access to a video but instead encounters more surveys. Similar to the first scam, both the walls of the users as well as their friend’s walls are blasted with Casey Anthony Spam postings. Like the previous scams the “Charlie Sheen Found Dead Scam” also capitalizes on the public interest for Charlie Sheen ever since his termination from “Two and a Half Men” and whacky behavior. This scam again obtains user information and redirects them either to a dead page or one that requires them to participate in an online survey. Again these claims are completely bogus and are only used so that spammers can benefit from susceptible users. 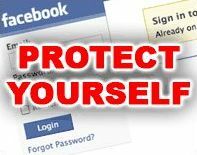 If you have had the misfortune of coming across these scams or ones like them, perform the following tips to cleanse and secure your Facebook profile. If something sounds too good to be true or is too shocking, then it’s probably a scam. When it comes to social networking sites, try stay up to date with the latest scams and be cautious and suspicious of all content that appears shady. This entry was posted on Wednesday, July 13th, 2011 at 2:46 pm	and is filed under Information Security, Social Networking. You can follow any responses to this entry through the RSS 2.0 feed. You can leave a response, or trackback from your own site. A very informative and fantastic post. I wonder why the other experts of this part don’t understand this. You should continue your writing. I am confident, you have a great readers’ base already!